On popular request, I am posting a quick recipe which is my recent quick fix idea for brunch, lunch or dinner. So without much ado, let us just get on with the recipe. A bundle of Spinach or Palak, thoroughly washed and drained. Coarsely chop the washed spinach leaves. 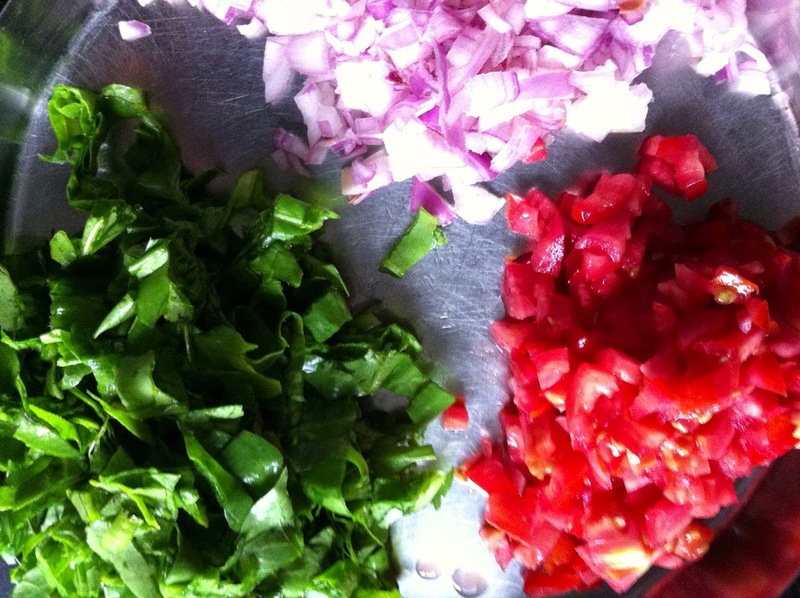 Add to it the chopped onion, tomato and chillies. 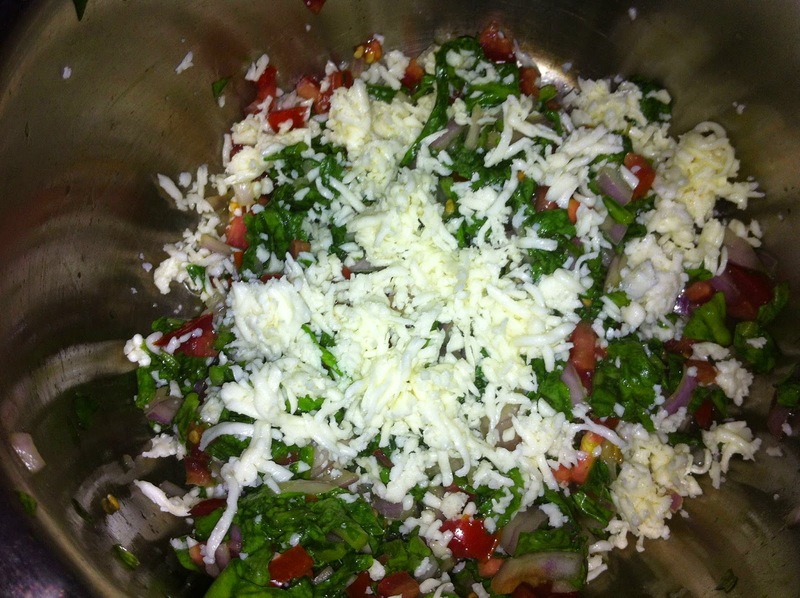 Add grated cheese to this mixture, sprinkle in some salt and mix it well. 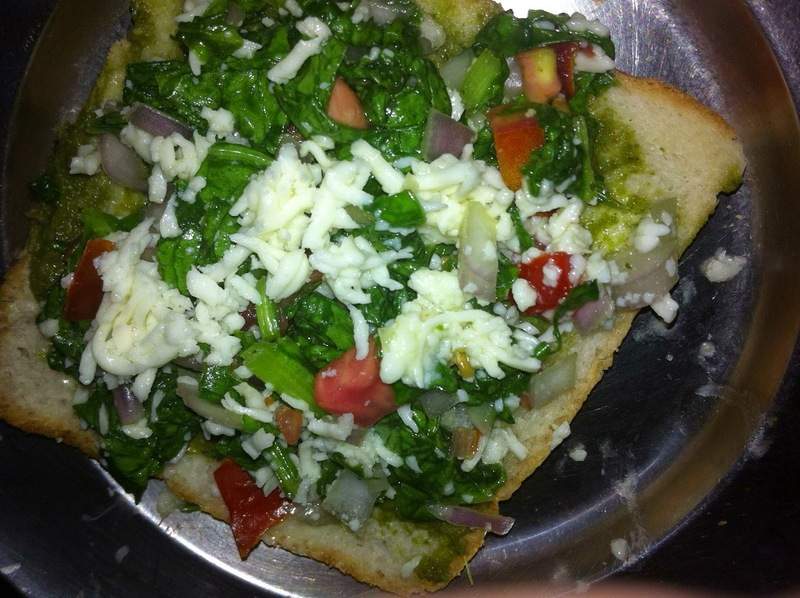 Apply butter on one bread slice and green chutney on another. Spread the Spinach mixture one side of the bread slice, and place the other slice on it. Now grill this sandwich in a Sandwich Grill and you are done. This one is easy peasy and tastes absolutely delicious. 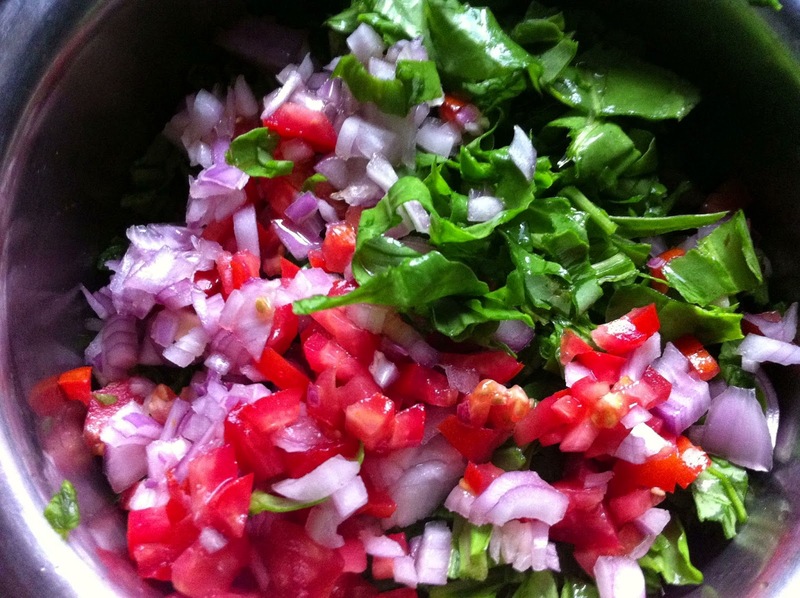 All the veggies being raw, it is nutritious yet tastes awesome. The health conscious guys can give the cheese a miss and substitute White bread with Brown. Do try this recipe and let me know if you liked it. Tip: The spinach mixture gets soggy very soon, so make sure you make it just before you assemble the sandwich. Am sure to try this one... Want to now, its a boon for the tastebuds. Yum yum! I love fried food but definitely would give this a try! i don't have a grill but need to try this .. maybe the tawa will suffice. I want to eat this sandwich! wow this looks yumm. 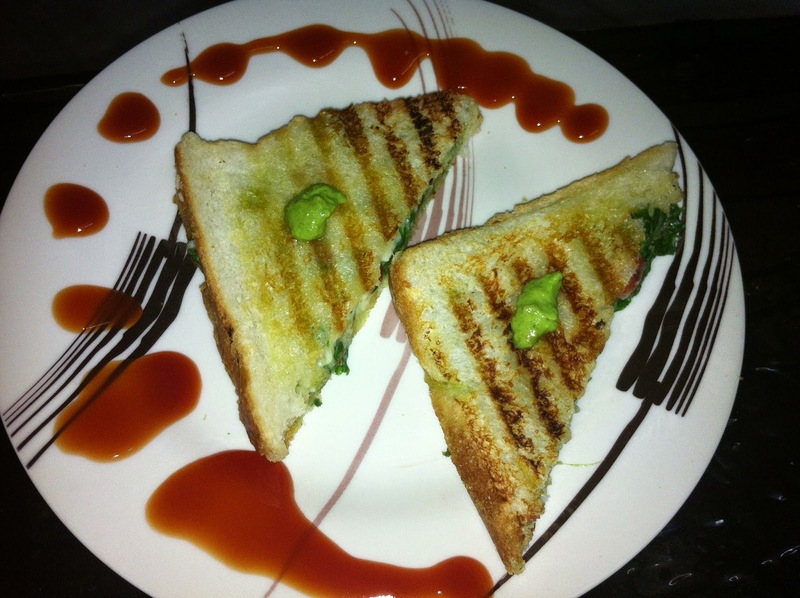 I have never thought of adding spinach to sandwich.I am gonna try this out. U shud Manisha..;let me know..how it turned out. When in Vegas ...Vegas By the Day.